Summer brings back so many childhood memories! And Ice Candy as we called it, is one summer treat we would always get. Even if it's not summer, this was just a treat we all love up to now. I remember making this with my siblings growing up. It's a simple concoction of milk, sugar, water and fresh fruit or chocolate. 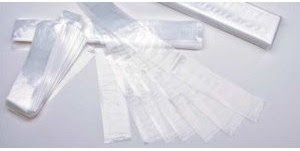 Then we would pour this in an ice candy wrapper which is just a simple narrow plastic that you tie at the end. The waiting felt like FOREVER to us kids, but it was always worth it in the end. I don't have any ice candy wrappers anymore so I bought this ice pops mold instead. and this is my own little way of reducing my carbon footprint in our beloved earth. My personal favorites of course are mango, melon and coconut ice candies. Dice 3/4 of the cantaloupe. In a blender, add diced cantaloupe, milk, water and sugar. Taste, add more sugar to your liking if necessary. Shred the remaining 1/4 cantaloupe in the grater, you will need about a cup. Add 1 tbsp of shredded cantaloupe in each mold. Pour cantaloupe mixture in the ice pops mold. Freeze for 4 hrs or more. This is an activity you can do with kids . It seems, it taste better when they put hard work to a treat. You can substitute with fresh milk, I just like the way the evaporated milk taste with cantaloupe, just like what my Mom used to make. One thing I did too, is to move around the shredded cantaloupe after pouring the mixture, so you get pieces of it when you bite into your ice pop. These look so refreshing and perfect for a hot summer day! Years ago, I had Popsicle molds but they are long gone. Gonna have to find some so I can make these. I just got my molds from Homegoods. They have different sizes and shapes. Thanks for visiting and joining Shari. And isn't it nice knowing what the kids are eating, instead of who knows what in store bought frozen treats. 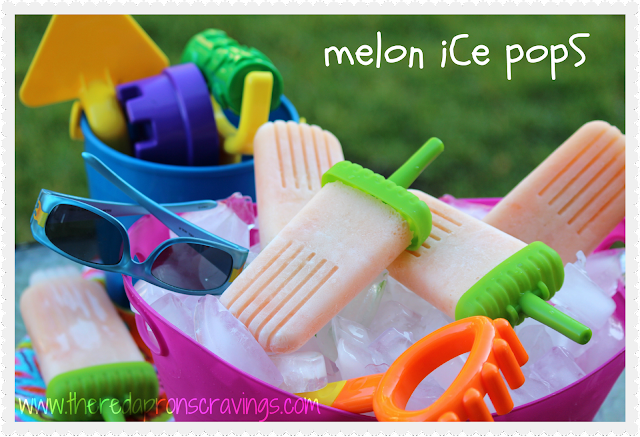 Haven't tried using melons in our frozen pops but for sure will have to give these a go, thanks so much for sharing. The store bought ones are full of sugar and artificial flavors. My children loves the fruit ice pops I make. Happy To share and thanks for visiting. Best childhood memories. Buying ice candy at our neighbors.